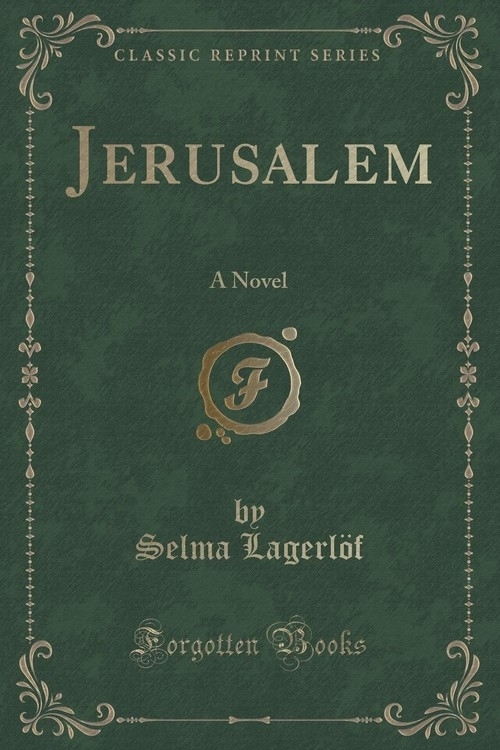 Excerpt from Jerusalem: A Novel<br><br>As yet the only woman winner of the Nobel Prize for Literature, the prize awarded to Kipling, Maeterlinck, and Hauptmann, is the Swedish author of this book, "Jerusalem." The Swedish Academy, in recognizing Miss Selma Lagerlof, declared that they did so "for reason of the noble idealism, the wealth of imagination, the soulful quality of style, which characterize her works." Five years later, in 1914, that august body elected Doctor Lagerlof into their fellowship, and she is thus the only woman among those eighteen "immortals. "<br><br>What is the secret of the power that has made Miss Lagerlof an author acknowledged not alone as a classic in the schools but also as the most popular and generally beloved writer in Scandinavia She entered Swedish literature at a period when the cold gray star of realism was in the ascendant, when the trenchant pen of Strindberg had swept away the cobwebs of unreality, and people were accustomed to plays and novels almost brutal in their frankness.<br><br>About the Publisher<br><br>Forgotten Books publishes hundreds of thousands of rare and classic books. Find more at www.forgottenbooks.com<br><br>This book is a reproduction of an important historical work. Forgotten Books uses state-of-the-art technology to digitally reconstruct the work, preserving the original format whilst repairing imperfections present in the aged copy. In rare cases, an imperfection in the original, such as a blemish or missing page, may be replicated in our edition. We do, however, repair the vast majority of imperfections successfully; any imperfections that remain are intentionally left to preserve the state of such historical works.